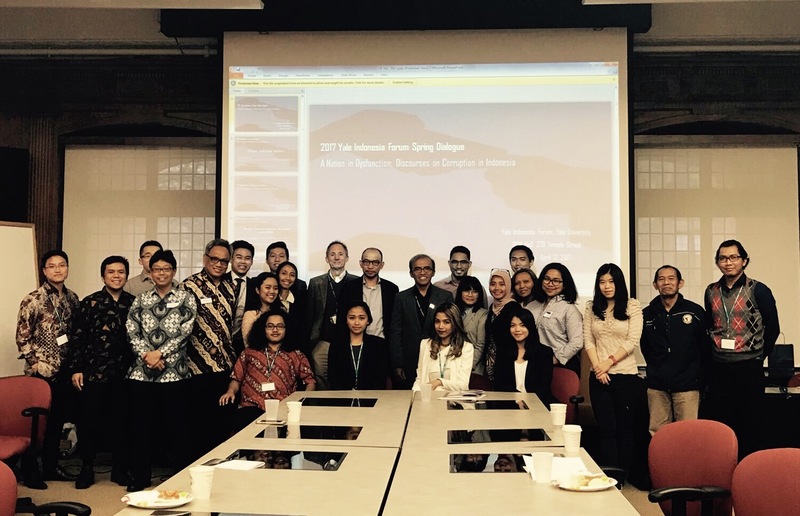 I was invited to give a lecture at the Yale Indonesia Forum Dialogue on April 21, 2017. The other guest lecture was M. Chatib Basri, a former Indonesian Minister of Finance. On the following day, Mr. Basri and I also attended the 16th Northwestern Conference on Indonesia. The theme of the dialogue and conference was “A Nation in Dysfunction: Discourses on Corruption in Indonesia”. A total of five scholars presented their papers in the conference. They offered an insightful analysis of the case of corruptions in various aspects in Indonesia. The presentations revealed some distressing issues of corruption, but offered some recommendations for rectifying the issues. The reformation movement in Indonesia sought to get rid of economic monopolies, fight corruption, collusion, and nepotism and promote accountable and clean government (Anwar 2005; Nomura 2007). The new system of government after the fall of Suharto’s New Order regime enacted a more democratic and accountable institutional setting. One of the new regulations is the transfer of various authorities and responsibilities from central government to local government. Such a transfer creates powerful local government and leads to rampant corruption in city and provincial governments. This article discusses corruption in the local government level and focus on spatial planning cases. 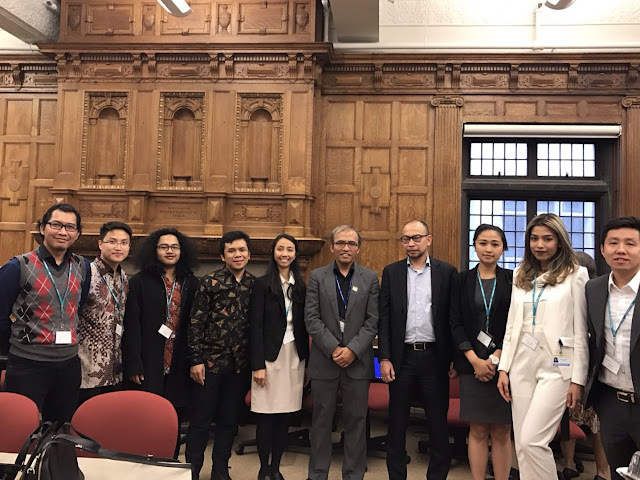 Corruption in spatial planning in city and provincial governments creates hindrances for creating inclusive, safe, resilient and sustainable cities in Indonesia as mandated by the New Urban Agenda of the UN HABITAT. Spatial planning is defined by the Spatial Planning Law 26/2007 as plan-making process, plan implementation and development control. The corruption in each component of spatial planning procedure is discussed and the cases of spatial planning violations are presented. Some recommendations of eradicating corruption in spatial planning are also offered in the article. The increases of economic growth and foreign investments in Indonesia as the results of the deregulation measures in the 1980s had substantially increased the demand for lands, particularly in the Jakarta Metropolitan Areas (Firman and Dharmapatni 1994; Firman 1998). The increasing demand for lands had also resulted in various problems of implementing spatial plans. In response to the growing need for coordinating the issues of spatial plans implementation, in November 1989, the Indonesia government formed a coordinating team of national spatial planners (Keppres 57/1989) which was led by the Minister of National Planning. This team was assigned to develop a set of guidelines for implementing spatial plans. The coordinating team of spatial plan implementation also prepared a spatial planning bill which then was passed by the Indonesian parliament in October 1992 and became the first Indonesian spatial planning law, The Spatial Planning Law 24/1992. Spatial planning is defined by the Spatial Planning Law 24/1992 as plan-making process (proses perencanaan tata ruang), plan implementation (pemanfaatan ruang), and development control (pengendalian pemanfaatan ruang). The provision of the Spatial Planning Law 24/1992 includes the guidelines of the plan-making process, plan implementation and development control for national, provincial and local levels. The Spatial Planning Law 24/1992 stipulates the principles of the spatial planning in Indonesia including integrity, sustainability, effectiveness, efficiency, compatibility, harmony, openness, equality, justice, and legal protection. The rights, obligations and participation of the people in the spatial planning are also stipulated in the Spatial Planning Law 24/1992. The people have the right to know the spatial plan, participate in the plan-making process and receive just compensation when their property is acquired for public uses. The detailed regulation on the rights, obligation and participation of the people in spatial planning was issued in December 1996 (Peraturan Pemerintah (National Regulation) 69/1996). This regulation was the first detailed regulation enacted by the Indonesian government from the Spatial Planning Law 24/1992. The fundamental institutional changes in Indonesia following the fall of the New Order Regime also affected the Spatial Planning Law 24/1992. This law was considered to be no longer relevant with new institutional settings, particularly with the new decentralization laws. This law was also poorly implemented and considered to be ineffective. The Spatial Law 24/1992 had no sanction provisions for spatial plan violations. The Directorate General of Spatial Planning prepared the bill of spatial planning and actively participated in the deliberation for nearly two years with the Indonesian parliament. The Indonesian parliament passed the bill of spatial planning in April 2007 and replaced the Spatial Planning Law 24/1992. The new law, the Spatial Planning Law 26/2007, contains some provisions that are not included in the previous law. In accordance with the new decentralization laws, the Spatial Planning Law 26/2007 stipulates explicitly the authority of provincial governments (pemerintah provinsi) and of district governments (pemerintah kabupaten and pemerintah kota) in spatial planning. The provincial and district governments have a broader authority in spatial planning. The provincial or district governments can stipulate new components in their spatial plan that are not stipulated in the higher level of spatial plans. The planning periods of national spatial plans (RTRW Nasional), provincial spatial plans (RTRW Propinsi) and district spatial plans (RTRW Kabupaten and RTRW Kotamadya) in the Spatial Plan 26/2007 differ from those in the Spatial Plan 24/1992. The planning periods of each level of governments are 20 years. The changes of planning periods were made to be consistent with the National Development and Planning System Law 25/2004. The Law 25/2004 stipulates that each level of government is required to prepare a long term development plan (RPJP). The planning periods of RPJP in each level of government are 20 years. The spatial plans and RPJP of each level of government become the long term guidelines for the government leaders in each level (president, governors, and mayors or regents) to govern in their respective jurisdictions. One of the important provisions of the Spatial Planning Law 26/2007 is the requirement of at least 30% of urban areas for open spaces. The open spaces can be public and private open spaces. More specifically, public open spaces account for at least 20% of urban areas. In addition, this law stipulates that forest areas must account for at least 30% of river stream areas. Such provision was not included in the previous spatial planning law. The Spatial Planning Law 26/2007 also stipulates the minimal standard of services in spatial planning. Such provision is to ensure a good quality of basic services of spatial planning for the Indonesian people. This is a response to the dissatisfaction of the Indonesian people over the poor quality of services from the government during the New Order Regime. The quality of basic services has not improved under the new system of government in Indonesia. Many local governments do not even know how to efficiently and effectively manage their resources for providing basic needs and improving public services in their localities (Firman 2002; Firman 2004; Silver 2005). The new spatial law provides some new ways for enhancing the development control including zoning regulation (peraturan zonasi), planning permits, implementation of incentive and disincentive and imposing sanctions. The incentives could be tax cuts, compensation, cross subsidy, planning permit deregulation, and awards. The disincentives include higher taxes, the limitation of infrastructure, imposing compensation and penalty. 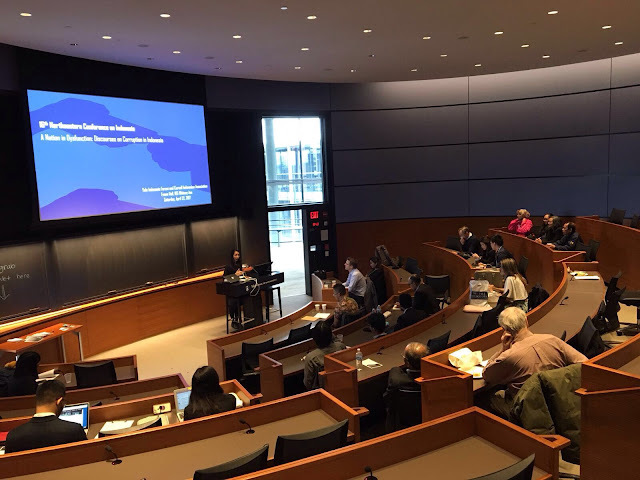 The implementation of incentive and disincentive could be from the central government to local governments (province, kabupaten and kota), from local government to other local governments and from governments to community. Another important provision of the Spatial Planning Law 26/2007 is the sanction provision for spatial plan violations. The sanctions for spatial plan violations include administrative sanctions and criminal sanctions. This law stipulates nine types of administrative sanctions including written warning, temporary activity termination, temporary service termination, location closure, permit revocation, cancellation, building removal, land use reconversion, and administrative charges. The criminal sanctions in this law include imprisonments up to 15 years and penalties up to Rp. 5billions (approximately US$ 500,000). During the New Order regime, almost all large developers were well connected to the President Suharto’s family and inner circle. Winarso and Firman (2002) revealed almost all large developers were well connected to the President Suharto’s daughters, sons, brother, in-laws and close friends. The connection to the Suharto’s family and inner circle became an important factor for the developers to develop their businesses. The closeness to the first family helped the large developers to expand their business. These interlinks also occurred among the large developers through cross-shareholding, shared directors, and joint ventures. The interlinks turned potential competitors into collaborators and created oligopolistic types of land and housing markets. Many development decisions made in the JMA were in favor of the proposed developments from the developers who often bribed the authorities and the local governments. The spatial plan was poorly implemented. The discretion of the planning authority was an important factor in the implementation of spatial planning in Indonesia. Regulations stipulated in the spatial plans (RTRWs) were interpreted loosely and restrictions were considered flexible by the planning authority in the local government level (Cowherd 2005, p. 182). The local governments were also under pressure from the political elite influences and the developers to circumvent spatial plans. This explains why the implementation of spatial planning in Indonesia, in many cases, led to corruption and unfairness. The economic growth and the expansion of employment are more important than the enforcement of spatial plans. The enforcement of spatial plan is so weak that spatial plans have simply been ineffective. Spatial plans were frequently prepared to accommodate the interest of developers rather than to plan for more sustainable areas and communities. For example, the spatial plans in Purwakarta and Karawang Regencies in 1995 were prepared to accommodate the interest of the Bukit Indah City developers (R. Sutriadi, personal communication, 5 September 2011). The alterations to the statutory spatial plan were very often made when the proposals from the developer were not recommended in the statutory spatial plan. Furthermore, the large developers were also allowed to prepare a new spatial plan then approved by the government (Winarso and Firman 2002). President Suharto used his extraordinary powers to circumvent planning and exempted the megaprojects of his family, friends and business partners from both spatial plans and free-market competition (Cowherd 2005, p. 183). The case of Kapuknaga Beach Tourism Development in the mid-1990s provides a testament to the use of political elite influences, particularly those of President Suharto, in the violation of spatial plans. A consortium of large developers planned to develop the 8,000 hectares of Kapuknaga, a coastal area in the northern part of the JMA, through land reclamation. Regardless of these laws and regulations that protect the Kapuknaga area from land use change, the 8,000 hectares of Kapuknaga Beach Tourism Development was approved by the Presidential Decree 73/1995, and the Governor of West Java was appointed as the chair of the Kapuknaga Development Board (Firman 1999, p. 1039; Wijayanti 1998). There was also a controversial plan proposed by Bambang Trihatmodjo, son of the former President Suharto, to develop a new town of Bukit Jonggol. The 30,000 hectares of Bukit Jonggol was approved by the Presidential Decree 1/1997for a possible new Indonesian capital. 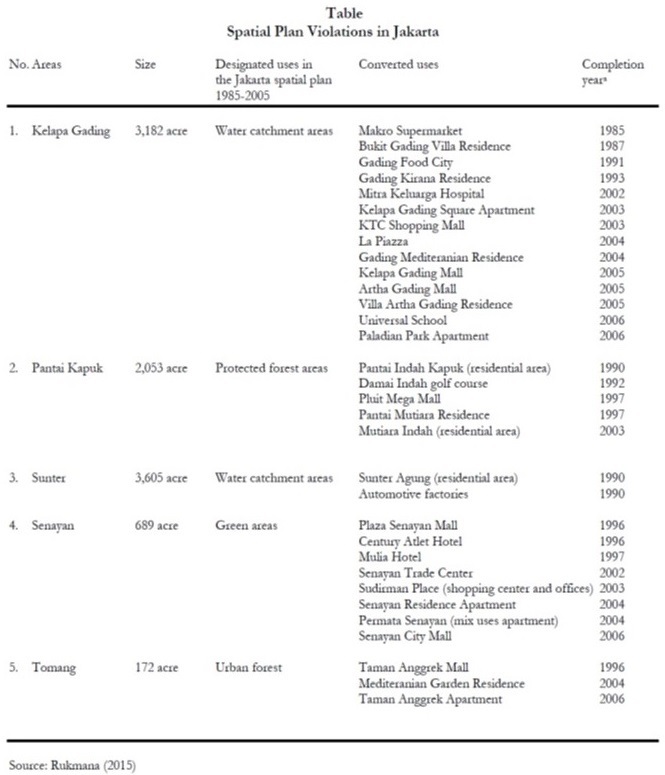 The size of this new town was almost equal to that of Indonesia’s second largest city, Surabaya (Firman 1997, p. 1037). This area was critical to the water supply of Jakarta and the control of downstream flooding. The Spatial Planning Law 26/2007 was enacted in a more transparent and accountable system of government. The central government has never issued a presidential decree for approving any gigantic project that violates spatial plans. Nevertheless, the central government still interfered, through several ministries, in local decision-making including local spatial plan decisions. A recent case in the Senayan Area showed the Jakarta city administration cannot regulate the areas which are fully controlled by the central government. The central government through the State Secretariat (Kantor Sekretariat Negara) leased the 11.2 hectare, unused Taman Ria amusement park in Senayan Area to PT. Ariobimo Laguna Perkasa, a developer that planned to transform the unused amusement park into a shopping mall. The project drew reactions from some members of the House of Representatives who opposed the conversion of the area into a shopping mall (Tempo Interaktif, 19 July 2010). The Jakarta spatial plan 2000-2010 and the draft Jakarta spatial plan 2010-2030 designated the area of the unused amusement park as green areas. The project of a shopping mall in the area is a violation of the Jakarta spatial plans by the developer with the support from the central government. The central government through the State Secretariat has full authority over the area and disregarded the Jakarta spatial plan when they leased the area to the developer. This case clearly shows the Jakarta city administration cannot enforce the spatial plans when the area is fully controlled by the central government. The decentralized powers have created powerful mayors and regents. They are no longer afraid of their respective governors and the governors are no longer afraid of the Minister of Home Affairs. The spatial plan violations are even worse when the local authorities rent or sell the local assets such as parks and historic buildings to the developers for generating more local revenues (D. Priatmodjo, personal communication, 25 July 2010). The Spatial Planning Law 26/2007 stipulates the requirement of at least 30% of urban areas for open spaces, but such a provision is poorly implemented, particularly by local governments. In the 1970s, green areas made up between 40 and 50 percent of Jakarta and have been shrinking ever since (Silver 2007). Green areas in Jakarta in 2009 account for only 9.3 percent of the city's area (Rukmana 2009). The proportions of green areas in the Jakarta spatial plans decreased from 27.6 percent in Rencana Induk Djakarta (Djakarta Master Plan) 1965-1985 and 26.1 percent in Rencana Umum Tata Ruang Jakarta (Jakarta Spatial Plan) 1985-2005 to 13.94 percent in Rencana Tata Ruang Wilayah Jakarta (Jakarta Spatial Plan) 2000-2010 (Rukmana 2008). The newer spatial plan accepted the decreases of green areas and validated the violations of the previous spatial plans (Steinberg 2007). The decreases of green areas in the three Jakarta spatial plans strongly indicate the spatial plan violations. The Spatial Planning Law 26/2007 provides the sanction provision for spatial plan violations but the government failed to impose sanctions against the conversion of green areas in the Jakarta Metropolitan Area. The spatial plans were all but ignored by the Jakarta city administration. The enforcement of spatial plans has been so weak and no sanctions have been imposed to spatial plan violations including the Jakarta city administration and the developers who convert the green areas into new homes, condominiums, malls, hotels, commercials and office buildings. One of Indonesia’s prominent NGOs, WALHI, has identified at least 5 areas designated as green areas in the Jakarta spatial plan 1985-2005have been converted into malls, commercials, hotels and residential areas (Khalid 2009). These five areas include Kelapa Gading (3,182 acres), Pantai Kapuk (2,053 acres), Sunter ( 3,605 acres), Senayan (689 acres), and Tomang (172 acres). The converted uses in each area can be seen in Table 1. The Jakarta spatial plan 2000-2010 accepted the conversion of those five areas and validated the violations of the Jakarta spatial plan 1985-2005 (Joga and Antar 2007). As many other spatial plan violation cases, there was no sanction imposed against the Jakarta Administration for allowing those conversions. The Indonesian National Agency of Land Affairs (BPN) issued the maps of land use conformity with the spatial plans for all provinces in 2007. In Jakarta, non-conformity lands were found in many parts of the area particularly in the southwest and northeast parts of Jakarta. Spatial planning violations and unconformity are evidence of corruption in spatial planning. Spatial planning is one of the important keys to create inclusive, safe, resilient and sustainable cities. Spatial planning is an important urban intervention for achieving sustainable urban development. The corruption in spatial planning occurred in all stages of spatial planning (plan making process, plan implementation, and development control) and it will impede sustainable urban development. Public participation has become a key element of planning activity in developed countries over the last decades (Laurian and Shaw 2009). The public should be involved in every step of the plan making process in order to increase the legitimacy of the plan. Public participation is also a way of increasing community empowerment and capacity building. Public participation will promote transparency, inclusiveness and fairness in the plan making process. Transparency will minimize rooms for corruptions and corrupt behavior. Public participation will promote the consideration of all concerned and affected citizens. Public participation can increase public awareness of local issues including spatial plans in the local level. The awareness of local issues from the empowered citizen and non-government organizations is very important and can strive to achieve sustainable urban development and reduce corruptions and corrupt behavior from the city administrators. Urban planners need to understand that corruption is the roots of urban issues including annual floods and acute traffic jams. Inclusive, safe, resilient and sustainable cities will not be achieved without efforts of eradicating rampant corruptions in spatial planning. In order to prevent the spatial plan violations, technical and legal training and adequate operational budget for spatial plan inspections should be offered to the officials in the lowest level of government including sub-district (kecamatan) and neighborhood (kelurahan) levels (R. Munir, personal communication, 11 July 2011). Capacity building of the government officials in the lowest level of government is an important key to enforcing spatial plans in Indonesian cities. This important key is not stipulated in the Spatial Planning Law 26/2007. Spatial plans are the public information. All residents must have access to spatial plans. Residents should be able to access any information concerning zoning and other land use regulations in their areas. The informed residents will promote the level of public participation in the plan making process and raise the legitimacy of the spatial plans. The poor spatial plan enforcement is a result of the absence of zoning regulations and zoning inspections. Zoning regulation is one of four new provisions in the Spatial Planning Law 26/2007 for enhancing the development control. Zoning regulation is the main reference for the issuance of land use permit in Indonesian cities, but such new provision was not supported by the provision of zoning inspectors. The Spatial Planning Law 26/2007 stipulates the role of Penyidik Pegawai Negeri Sipil (PPNS) who is expected to investigate any spatial plan violations. However, most planning departments in Indonesian cities do not have zoning inspectors or PPNSs. The lack of zoning inspectors is one of the causes of spatial plan violations and rampant corruptions in spatial planning in Indonesian cities. The Spatial Planning Law 26/2007 is an application of regulatory planning system. Some benefits and costs were found in the regulatory planning system. It’s going to be a new study that compares and contrasts these two planning systems in Indonesia. Nevertheless, the application of discretionary planning system could potentially reduce rooms for corruptions and corrupt behavior in spatial planning in Indonesia. Anwar, Dewi Fortuna. (2005). The fall of Suharto: understanding the politics of the global. In Southeast Asian responses to globalization: restructuring governance and deepening democracy. Wah, Francis Loh Kok and Joakim Ojendal (Eds.). Singapore: NIAS Press. Goldblum, Charles, and Wong, Tai-Chee. (2000). Growth, crisis and spatial change: A study of haphazard urbanization in Jakarta, Indonesia. Land Use Policy 17: 29-37. Hadiz, V.R. (2004). 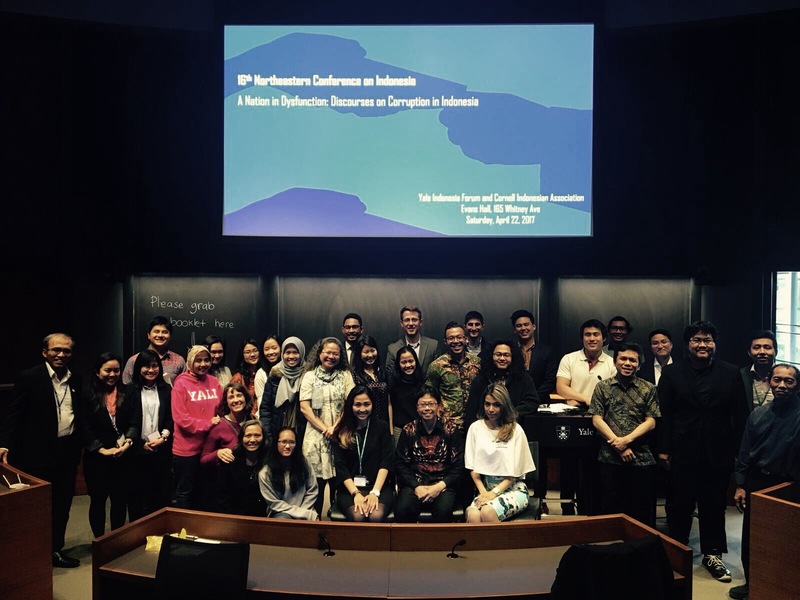 Decentralization and Democracy in Indonesia: A Critique of Neo-Institutionalist Perspective. Development and Change 35(4): 697-718. Joga, Nirwono and Yori Antar. (2007). Komedi lenong: Satire ruang terbuka hijau. Jakarta: Gramedia. Khalid, Khalisah. (2009). The green space area’s policy and eviction urban poor in Jakarta: Case study of the eviction Clean Humane Prestigious Park (BMW). Koresawa, Atsushi and Josef Konvitz. (2001). In Towards a new role of spatial planning. Organization for Economic Cooperation and Development. Paris: OECD Publishing. Leaf, Michael. (1994). The suburbanization of Jakarta: A concurrence of economics and ideology. Third World Planning Review 16(4): 341-356. Rukmana, Deden. (2008). Decreasing green areas in Jakarta. The Jakarta Post. March 17, 2008. Silver, Christopher. (2007). Planning the megacity: Jakarta in the twentieth century. London and New York: Routledge. Silver, Christopher (2005). Do the donors have it right? Decentralization and changing local governance in Indonesia in Globalization and Urban Development. Richardson, H. and Bae, C.C. (Eds.). Berlin Heidelberg: Springer. Wijayanti, Laksmi. (1998). Environmental planning in Indonesia: The linkage between spatial planning and environmental impact assessment. Thesis. Boston: Massachusetts Institute of Technology.